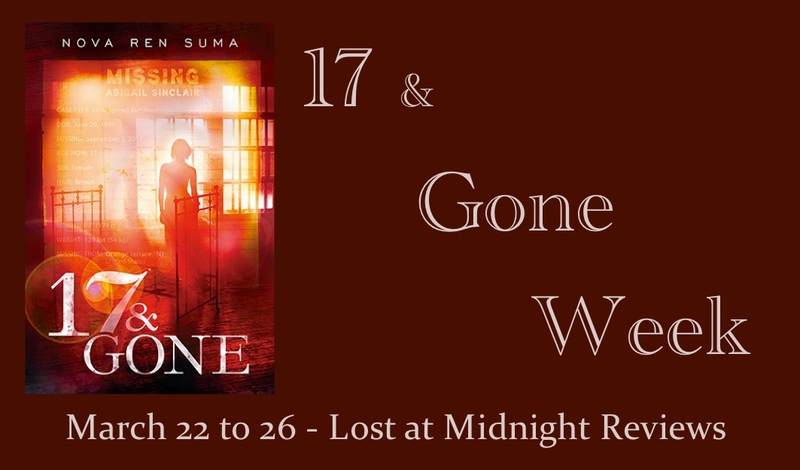 Lost at Midnight Reviews: Why Bloggers Want to Read 17 & Gone! Welcome to 17 & GONE week! 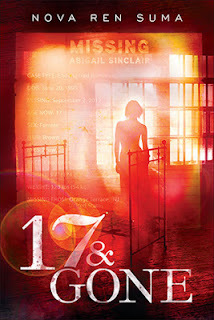 From now until it's (Canadian) release on March 26th, Lost at Midnight Reviews will be celebrating all things 17 & GONE! They'll be guest blurbs, reviews and a special Q&A with the author herself! Haven't heard of 17 & GONE by Nova Ren Suma? Maybe on the fence about reading it? Well, stay tuned this week and read about all the reasons to look forward to and love this book! Here's the summary (and b-e-a-utiful cover) to start you off! I figured, what better way to spread the word, and get everyone hyped up to read the book then have bloggers talk about why they're excited about 17 & Gone! Here's what they had to say! "As my sister says: "This totally reminds me of Criminal Minds or Virals by Kathy Reichs!" “I heard about Nova Ren Suma’s new novel, 17 & Gone, a while ago and was immediately intrigued by the synopsis and the book cover. I borrowed her first book, Imaginary Girls, from the library earlier this year. I fell in love with the writing, with its dreamy atmosphere, and the way the story was told, with no easy answers given. 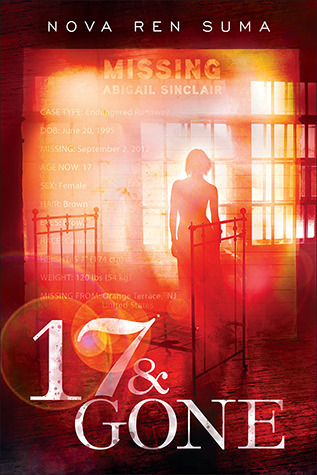 Having skimmed reviews of 17 & Gone (I’m wary of spoilers! ), it sounds like a story that explores dark subject matter, which definitely appeals to me, with the same kind of story-telling and fantastic writing that I enjoyed in Imaginary Girls. I’ve also seen it described as either a psychological or paranormal read (sometimes both!) and not only do I love psychological thrillers and paranormal fiction, I’m intrigued that this book may straddle both genres. Thanks, bloggers! Be sure to check back tomorrow for more reasons to read 17 & GONE!